I had the pleasure to personally meet Nicole at the 2018 “Democratize Quant” conference hosted by Villanova University and organized by the crew at Alpha Architect. Her energy and enthusiasm for finance are contagious! 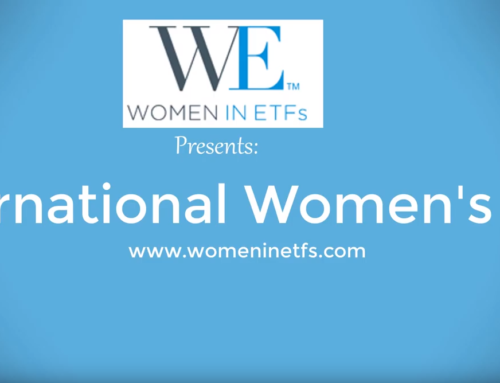 Nicole shares our mission to encourage women, especially younger generations, to embrace a career in quantitative finance and investing. Like her, we are committed to increasing the level of female representation in this fascinating field. This article is another step towards our common goal! What Contributed to Nicole’s Success? Nicole did not start with finance right away. She graduated with a degree in accounting from Kent State University and shortly after, in 1990, started her career at KPMG Peat Marwick as a senior auditor. While working as a financial analyst at a small commercial bank, she pursued an evening MBA program at Case Western Reserve where she was introduced to some (new to her) subjects like “options” and “financial markets.” Later, while working as a personal financial counselor at Ernst & Young, she attended a speech by Eugene Fama on “value and growth” strategies, which increased her curiosity and passion for finance. She liked what she was doing in the accounting field, but she did not love it. Finding your true passion is key to professional success! After hearing Prof. Fama’s speech, she was inspired to beef up her knowledge on financial markets. She applied for a PhD in Finance at Ohio State University where she was introduced to research in hedge funds. She entered the program 1998, which was a great time to study hedge funds. Long-Term Capital Management (LTCM), the hedge fund filled with some of the brightest financial minds on the planet, had incurred huge losses as a result of the Asian and Russian financial crises. Eventually, the fund was bailed out by a group of creditors to avoid a collapse in the financial markets. Research in hedge funds was heating up and being in a niche market with lots of media attention appealed to Nicole. Performance is comparable between male PMs and female PMs, and it is not necessarily true that female hedge fund PMs take less risk (which some studies suggest). Female PMs fail at a higher rate compared to men. However, performance is not the reason for this failure, rather, it is their limited ability to raise capital. Understanding why female managers can’t raise capital at the same rate as their male counterparts is a mystery, but one can certainly generate several viable hypotheses without much effort. What can be done to start reversing the under-representation of Women in Finance? According to Nicole, it is important to start encouraging women to take these jobs when they are young — preferably while they are still in school! She cites two great initiatives like @GirlsWhoCode and @GirlsWhoInvest, but she takes the effort to encourage female students in finance by serving as a mentor. Nicole is a unique professor in that she constantly talks and encourages her talented students to pursue finance with special attention given to females, who (she observes) are typically shy and less likely to take on leadership roles in finance-related clubs and other activities at the university. An example is a recent email Nicole sent out to the best performing students in her notoriously difficult introductory class (called Financial Management). She wanted the students to know she thinks they could do well in Finance and at the same time offered them her support going forward. I am writing you this email because you received an A or an A- in my class this semester and I am really proud of you. This class was very difficult, and you performed extremely well! I have talked to some of you personally to encourage you to major in Finance, and would like to extend this encouragement to all of you. I’d also like you to know that I appreciated your hard work, participation, and persistence in achieving the grade you did — your study habits will you well going forward, and I suspect that you will find that you’re well prepared for co-op and for future classes. I also want to offer my support to you going forward — if you have questions about classes, or co-ops, or careers, my door is always open. You are students that I will recommend to eomployers and to co-op advisors — I feel confident about your ability to do well. If any of you want to chat about finance as a major (or about any other related issues), please know that my door (and text and email) are always open. I hope that you have a great summer! A small gesture like this can go a long way towards changing the direction of someone’s life. Back to some personal tips for our female audience who want to pursue a career in quantitative finance. Nicole recommends taking as much math as you can. If she could go back, she would take even more math courses than those with which she graduated. Also, work in an area that is, “up and coming.” Follow the trend. Being in the right trend will give you greater visibility compared to a crowded topic or sector. But most importantly, and especially if you are shy, figure out your interest and a topic you know a lot about. Then connect with a few people who share this interest, starting with your professors. Great mentorship is essential to your future success, but if you don’t ask for mentorship you’ll never receive it. Thank you, Nicole: it has been a great pleasure and we wish you continued success!